Purchase merchandise with Ritallin's voice and words: recordings, anthologies and poetry collections! A Weekly Dose of Ritallin is a curated selection of Greg Frankson's original works as presented over two years on Here and Now Toronto. The A Weekly Dose of Ritallin segment cracked open Toronto with soulfully intelligent, locally invested and socially conscious poetry every Thursday afternoon at 4:20. This edition of Greg’s lyrical commentaries include moments, memories, news and issues that defined Toronto and the times. These poems share snapshots of an apocalyptic, exhilarating time in Canadian history through the lens of one of the nation's most insightful social commentators. Ritallin's poems vibrate on the page. The poems were initially heard on radio but re-reading reveals deeper meaning and subtler nuances that may have been missed. Experience Ritallin's visceral impact in tangible form with online links to access the original audio files. Topical, current, diverse and unabashedly challenging, A Weekly Dose of Ritallin is the best of our contemporary affairs as chronicled and shared live on the airwaves over two amazing years. The Great Black North is a contemporary remix of the story of Black Canada. Told through the intertwining tapestry of poetic forms found on the page and stage, The Great Black North presents some missing pieces of the jigsaw puzzle that help fit together a poetic picture of the Black Canadian experience. Many African Canadians know their history in North America since the 17th century. However, the rest of the world may be unaware of the history of enslaved Africans and slave auctions north of the 49th parallel, as well as the free Blacks, Loyalists and Maroons who made their journeys to the “promised land” of Canada. The Great Black North should be a valuable resource for the preservation of culture that is written and/or performed as dub poetry, spoken word and slam. That Not Forgotten, edited by Bruce Kauffman, is a collection of poetry and prose by authors living in the North Shore Series geographic area, Port Hope to Kingston on the north shore of Lake Ontario. The almost 400 pages in That Not Forgotten published by Hidden Brook Press, have rallied together to paint a deeply personal portrait hand-tipped with nostalgia. That Not Forgotten will easily be one of the most important Ontario anthologies for many years to come. A. Gregory Frankson, also known as Ritallin, provides a poetic form of leadership within the global mental health movement - a movement that seeks improved services, greater awareness, reduced stigma and full acceptance for consumers / survivors / service users no matter where they live in the world. Purchase audio recordings of Ritallin's work through Bandcamp! Support independent artists by picking up the track(s) you want for the posted value or more! Whether a cappella, live or with music, you will love the socially conscious messages and rhythmic quality of this artist's body of work. 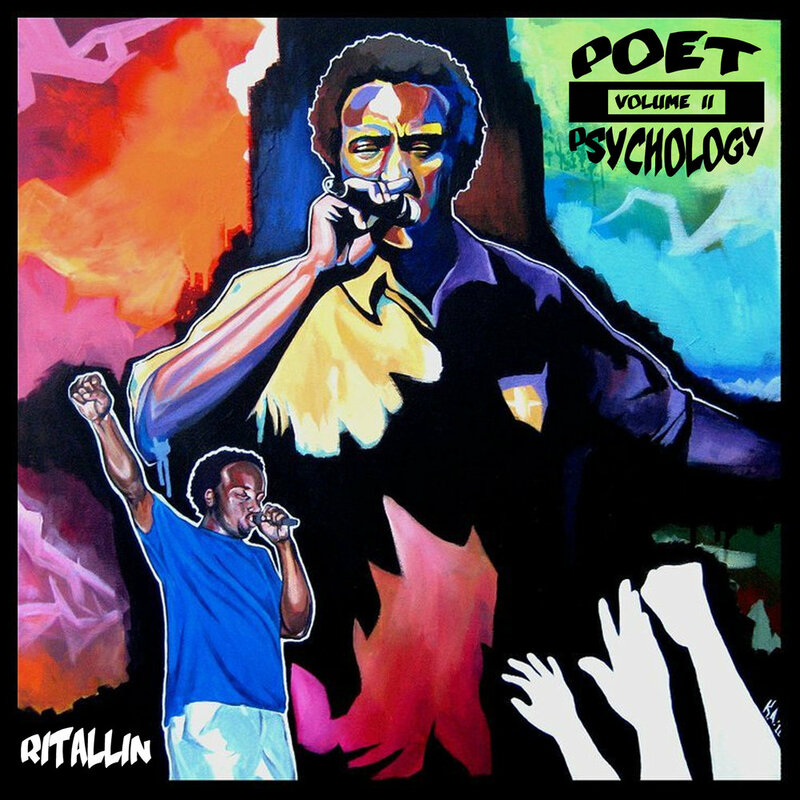 This album is the third and final instalment in Ritallin's Poet Psychology project. While Vol. I was a cappella and Vol. II included live recordings, Vol. III is all about combining poetry with music. This highly diverse, intriguing, conceptual and accessible composition includes twelve of Ritallin's music-infused poems. This work shows off his writing ability, lyrical and vocal dexterity, and the vision of one of the top spoken word artists in Canada today. Released March 14, 2014. 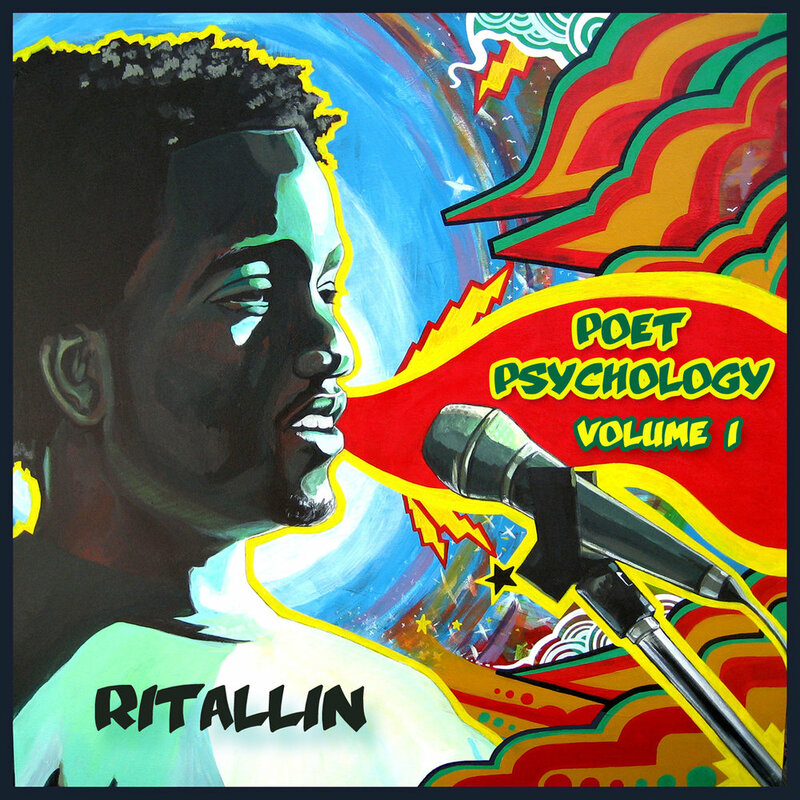 The second of three CDs in the series focuses on the live performances of Ritallin over the course of years in Ottawa, first at the Canadian Spoken Wordlympics and then at Capital Slam, the poetry slam series he co-founded. MudsharkAudio. Released January 1, 2011. The first of the three CDs in a series, this disc has one dozen of Ritallin's poems recorded a cappella. Released October 1, 2010. Ritallin's first recording is an EP with seven tracks at the beginning of his spoken word career. it includes one live track (Body Politic) and the longest poem Ritallin has ever written for performance purposes (T.K.M.O.). Released December 1, 2005.